If your senior needs to have surgery, you’ll want to do everything you can to help them recover. For practical tips on helping older adults make a speedy and comfortable recovery, we asked our friends at Seniorly for advice. According to a report by American Geriatrics, “America’s elderly undergo 20% of all surgical procedures” during their retirement years. Common surgeries for seniors include joint replacement and heart surgeries. 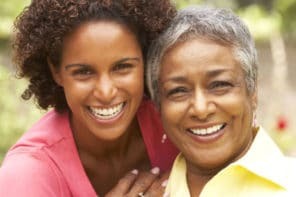 For the primary caregiver of an aging loved one, surgery can be a difficult thing to prepare for when the senior has chosen to age in place in the family home. However, there are steps that families can take in order to plan for a safe and efficient recovery at home. New research points to the importance of preparing for surgery using “prehab” methods that are designed to help seniors return to happy, healthy lives following serious surgeries. For seniors, prehab activities could include wholesome nutrition and light exercise to prepare the body for surgery. Caregivers can also help aging loved ones prepare mentally by talking through the experience with their loved one beforehand, and addressing their concerns and hopes for recovery. Studies show that as many as 18% of Medicare patients were readmitted to the hospital within 30 days of discharge. Family caregivers can avoid this experience by preparing the home for their loved one’s arrival during their hospital stay. Oftentimes, home safety modifications will need to be completed prior to the patient returning home from their hospital stay. Common home safety modifications for seniors include installing stairlifts, wheelchair ramps, as well as shower chairs and grab bars in bathrooms. Joint replacement surgeries may initially prove painful and limit mobility. In these cases, it is wise to survey the home for any fall risks that may exist, including loose carpeting and electrical cords. Removing these and any other tripping hazards in the home can prevent additional injury that may land your loved one back in the hospital. When the patient is ready to be discharged from the hospital and transition home, there are several helpful resources that can support the recovery process. To ensure a successful recovery following surgery, seniors are often provided with the names of local physical therapists who can provide personalized recovery plans for seniors. This article highlights the benefits of physical therapy at home. In-home care is another option that families turn to following complicated surgeries requiring higher post-operative care. Many in-home care agencies will provide trained caregivers for a few hours or days per week with rates ranging from $20-$45 an hour. Caregivers are prepared to help seniors keep up with physical therapy exercises, provide housekeeping support, and oversee medication management. Food delivery services can also provide post-operative nutritional support for families caring for aging loved ones at home by providing healthy, prepared meals as needed. Some of the best options include Meals on Wheels, Personal Chef to Go, and MagicKitchen.com. Surgery doesn’t have to be an overwhelming experience for family caregivers. With the proper preparation and enough in-home support, caregivers can rest assured that their loved ones will recover from surgery quickly in the comfort of their own homes. 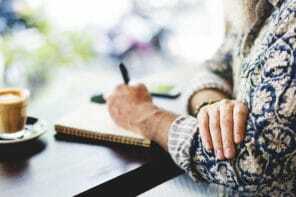 Guest contributor: Jacqueline Hatch is the Content Manager at Seniorly, a company that provides free resources for families in need of senior care services. Her goal is to produce educational articles for Seniorly’s Resource Center to help families navigate the complicated world of aging options.